Furnace Creek, CA – AdventureCORPS®, Inc., hosts of the Badwater 135 Ultramarathon, is currently accepting applications for this year’s race, scheduled for July 10-12, 2017, until February 9. Now in its 40th year and recognized globally as “the world’s toughest foot race,” this iconic race pits up to 100 of the world’s toughest athletes – runners, triathletes, adventure racers, and mountaineers – against one another and the elements. 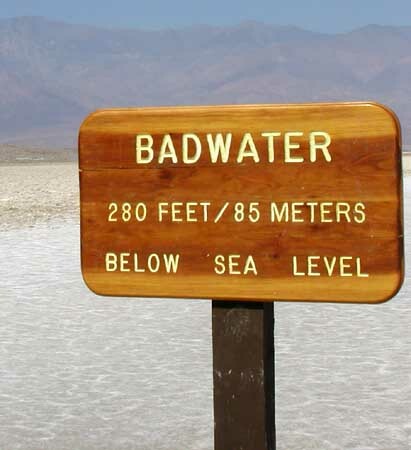 The race starts at Badwater Basin within Death Valley National Park, the lowest point in North America at 280 feet (85m) below sea level, and the location officially recognized as the hottest spot on earth (hitting 134 degrees Fahrenheit in 1913). From that auspicious start line, the course covers 135 miles (217km) non-stop over the most epic terrain imaginable. including traversing three mountain ranges for a total of 14,600 feet (4450m) of cumulative vertical ascent and 6,100 feet (1859m) of cumulative descent. The race finishes at the end of the road high on Mt. Whitney, the tallest mountain in the Lower 48, making it the most demanding and extreme running race offered anywhere on the planet. 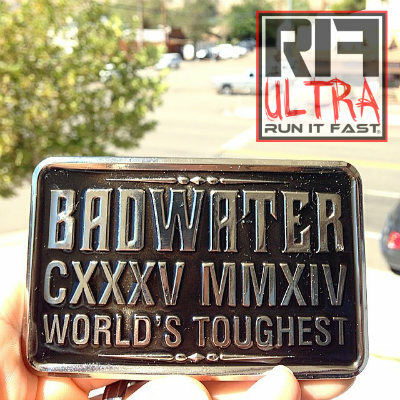 For those who finish in less than 48 hours, their reward is the coveted Badwater 135 belt buckle. (See attached.) There is no prize money. Based on past participation, it is anticipated that the 2017 field will include runners from 20 to 25 American states and represent 20 to 25 countries or nationalities. The 100 world-class athletes selected for the 2017 race will be announced via Facebook Live on February 9. Official Charities of the Badwater 135 include the Challenged Athletes Foundation. As one of the very few charities that provides grants directly to athletes with a physical disability, the Challenged Athletes Foundation has raised over seventy-six million dollars and directly assisted thousands of challenged athletes world-wide and in all 50 US states. The event is held under special use permits from Death Valley National Park, California Department of Transportation, Inyo National Forest, and Inyo County. Two EPIC races will be starting in the next few days. Guess what? Two Run It Fast – The Club members will be representing at both races and pushing their limts to the extreme! You’ve probably heard of one of the races – AdventureCORPS Badwater, a 135 mile race across Death Valley in California. It starts on Monday, July 16th and I hear the temperatures for this year’s race will be in the range of 118 to 123 degrees! The runners start out from Badwater (85Ft below sea level, the lowest point in the Western Hemisphere) and climb up to the trailhead at Mt. Whitney. Along the way, they will battle the heat, possibly melting shoes, their own minds and bodies and do a little climbing (13000 Ft). That sounds like fun, right? Some famous names in the running world are running Badwater this year: Marshall Ulrich, Dean Karnazes, Pam Reed, and Amy Palmiero-Winters. Last year’s winners, Oswaldo Lopez and Sumie Inagaki will be back this year to defend their titles. And back for his second year at Badwater is our very own Ed Ettinghausen, RIF #121! He will be starting this year’s race in the 10:00 am wave. At last year’s Badwater, Ed finished 13th in a time of 31:21:54. I’d say he was running it fast! Now that he’s no longer a rookie, I expect he’ll Run It Fast this year too. 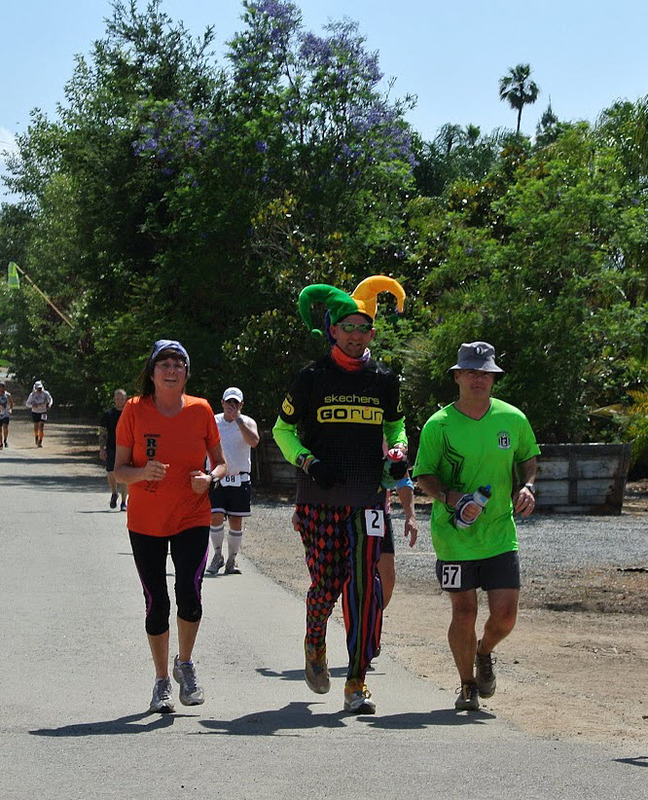 I just wonder if he’s going to be sporting the Jester hats at Badwater? Good luck Ed! The other race? You probably haven’t heard of that one. It’s a “little” race called the Last Annual Vol State 500K. The race is 314 miles across Tennessee…in the middle of July. Now it may not be as hot as it is in Death Valley but it’s WAY more humid. Also, a FEW more miles too. The small band of runners in this race will leave tomorrow morning from Dorena Landing, Missouri and make their way across Tennessee to “The Rock” at Castle Rock, Georgia. The runners have 10 days to complete the journey. 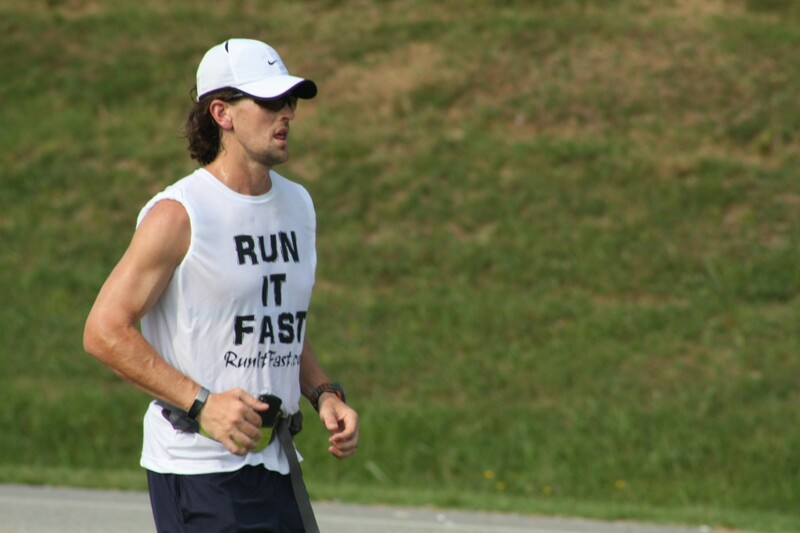 Our fearless leader, Joshua Holmes RIF #1, is running the Last Annual Vol State 500K…again! He ran it last year in 8 days and 7 minutes and change. He has plans to Run It Faster this year and I KNOW he will. He’s got the experience and this year he’s a much stronger runner. I can’t wait to see how much time he shaves off his time from last year. Good luck Joshua! What I find so amazing and inspiring about both Ed and Josh is that they did these races before and STILL signed up for another year. They know exactly what they are getting in to and they aren’t afraid to face those challenges again. While marathons across the country are being cancelled because of “heat”, these two, along with all the other entrants, are saying “Bring it on!”. I know they have every intention of running harder, faster, and stronger this year and it will be fun to watch. I hope you’ll join me in sending lots of encouragement to Ed & Josh as they head out. They are two of the most supportive and encouraging runners I’ve met. They love running and they share that love with runners of all ages and abilities. Both of them are so down to earth as well that they would probably be embarrassed when I say they are inspiring but I know I’m not alone in thinking this. They are AWESOME! Please show them some love! And don’t forget to check back here for updates and results! 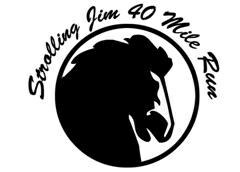 *Update* I just found out another RIF Club member will be running the Last Annual Vol State 500K! Please also send Run It Fast Good Luck vibes to Sulaiman Seriki RIF #154! Californian Oswaldo Lopez won the extremely tough and brutal Badwater 135 mile ultra marathon through Death Valley on Tuesday. Lopez finished with a time of 23:41:40. Japan’s Ryoichi Sekiya was leading for most of the way before Lopez overcame him in the last 35 miles. Sekiya finished in 2nd with a time of 24:49:37.